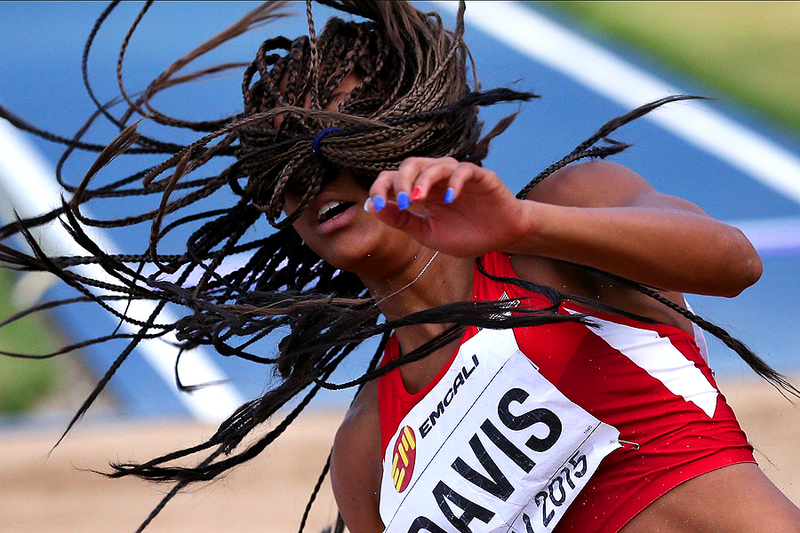 "Tara Davis of the USA in action during the Girls Long Jump Final on day five of the IAAF World Youth Championships, Cali 2015 on July 19, 2015 at the Pascual Guerrero Olympic Stadium in Cali, Colombia." There is no greater stage than that of a championship. The Getty Images team had the great opportunity to travel to South America to document the IAAF World Youth Championships. Over six days, we covered competitors 17-years-old and younger battling for gold medals in a range of track and field events. For myself, I had not documented athletics like this for many years. So it was very much a challenge - especially with added pressure this was a global competition. What made the days even more of a contest for photographers was that the backgrounds were very busy. Trying to find clean angles took a day or trail and error during the running, jumping and throwing. But at the end of the day, the team beautifully documented these athletes giving it their all. It's always inspiring to witness youth doing something so extraordinaire early in life. I know many of these athletes will one day be in the Olympics - and it was an honor to capture was was for many their first time on a global stage.